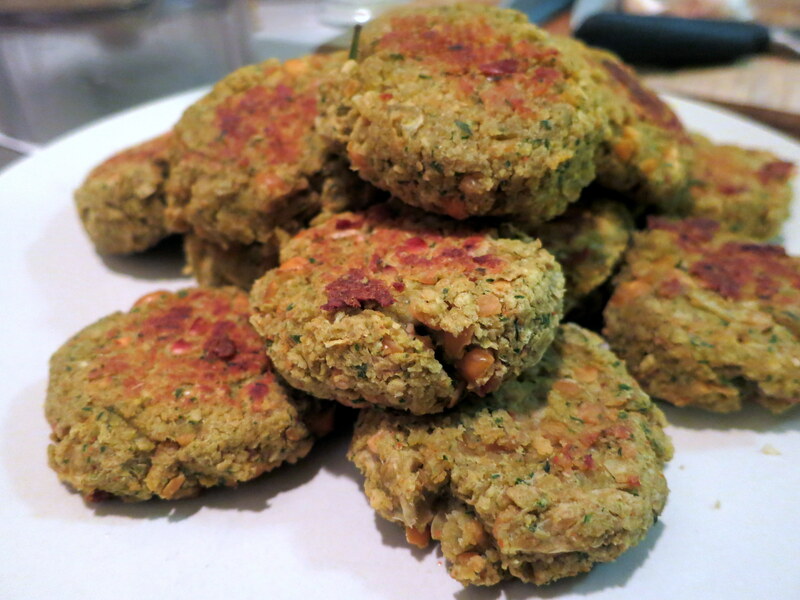 The first time I made falafels years ago, I had fried them in a skillet with a little oil. While I love that pan-fried crisp texture, I very much prefer the baked version nowadays. 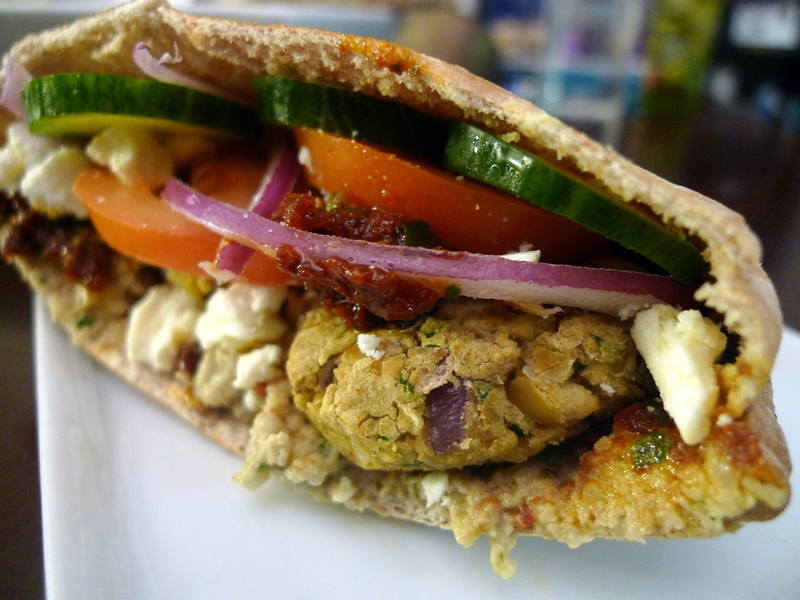 For my friend’s Mediterranean-themed dinner, I decided to recreate my favorite falafel sandwich from Crisp called the “Crisp Mediterranean” which is served with eggplant, sun-dried tomato spread, Parmesan flakes and garden greens in a warm pita pocket. We made Baba Ghanoush, Sun-Dried Tomato Spread, and Tahini Yogurt and assembled our sandwiches with pita, Parmesan flakes, tomatoes, cucumbers, red onions, and lettuce. optional: pinch of red chili flakes and paprika to add more heat! Mash the chickpeas in a mortar and pestle, or with a fork until thick and pasty. Fold in all the other ingredients and mix thoroughly. Line a baking sheet with aluminum foil and drizzle with some olive oil. Roll the mixture into balls (using about 2-3 tablespoons) and then flatten slightly. 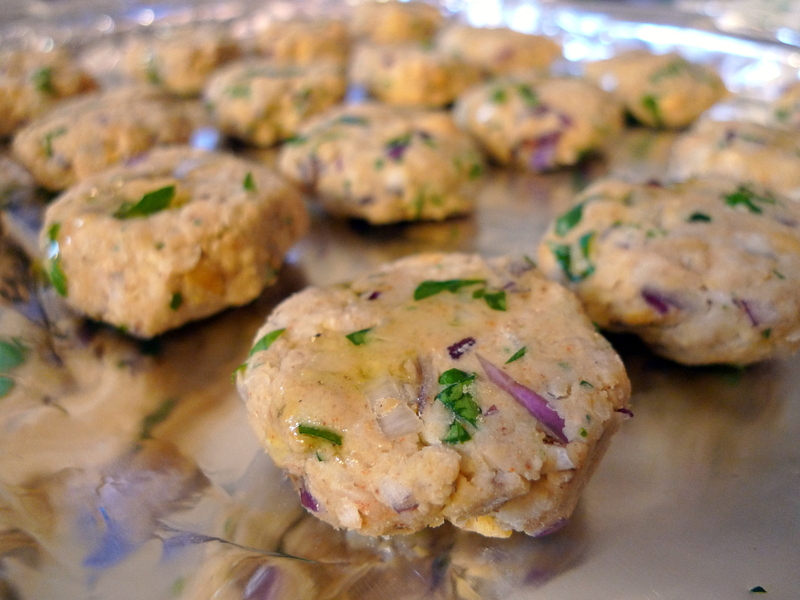 Line the patties on the baking sheet and drizzle some more olive oil on each. Roast for about 20 minutes, flipping once halfway. Cut the pitas in half and place in the oven for a few minutes until slightly toasted. 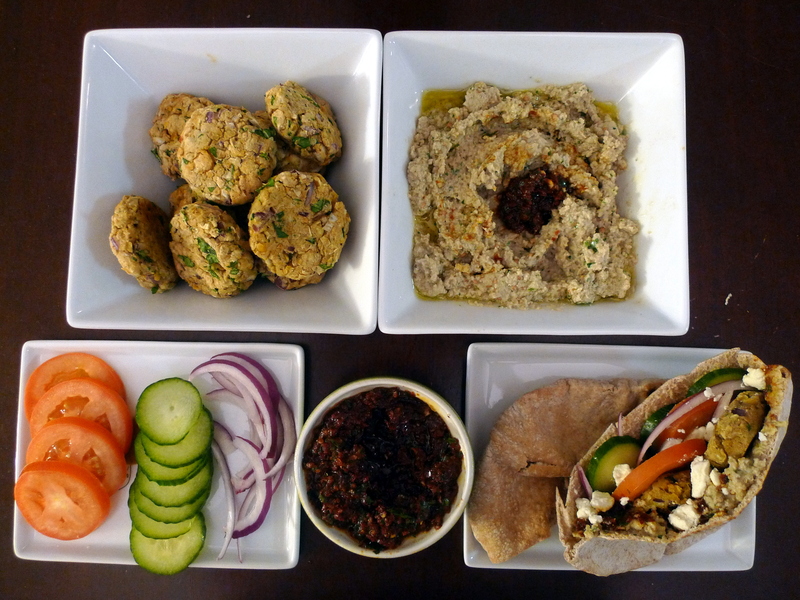 Cut the tomatoes and cucumbers into slices, julienne red onions, tear the lettuce and prepare any other spreads and sauces to assemble a delicious falafel sandwich! 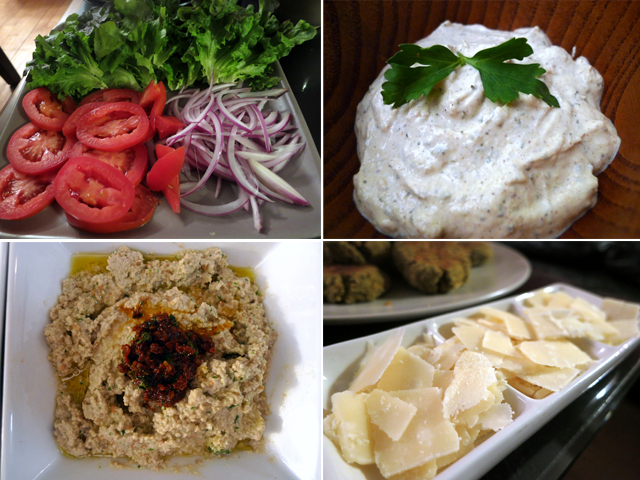 Suggestions include: Baba Ghanoush, Sun-Dried Tomato Spread, Tahini Yogurt, Tzatziki, feta crumbles, and Parmesan flakes. These are in my top-5 types of food ever. There’s a place in Bristol called Falafel King which does the most incredible falafel wraps – I miss it.